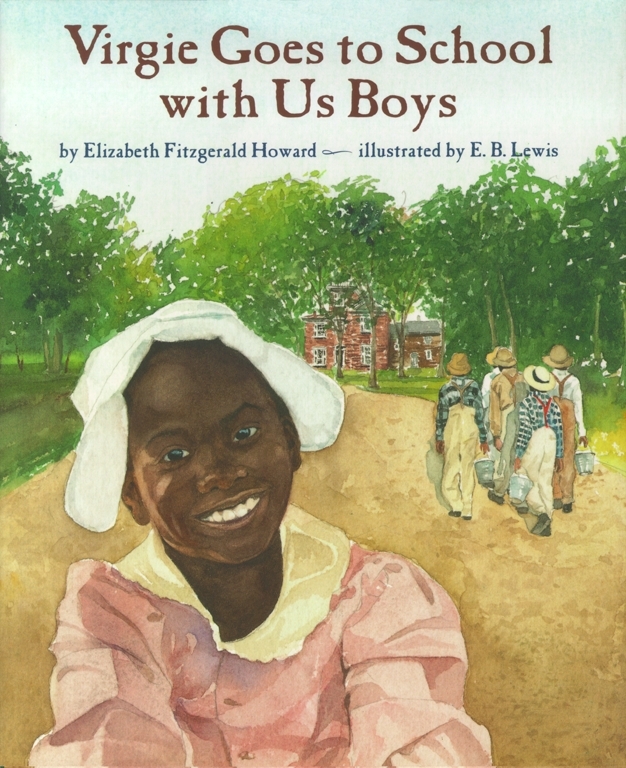 All Virgie wants is to go to school with her brothers George, Will, Nelson, Val, and C. C. But they keep saying she's too little for the long, seven-mile walk, and that girls don't need school. Well, Virgie doesn't agree, and she's not gonna let anything stand in her way. Elizabeth Fitzgerald Howard's grandfather was Cornelius "C.C." Fitzgerald. His brother Will told stories about their childhood to his daughter Jessie, who passed them along to the author. Inspired by these stories, Elizabeth visited Jonesborough, Tennessee, a town seven miles from where her grandfather grew up. There she learned about a school started by Quakers called the Warner Institute and wrote this story.